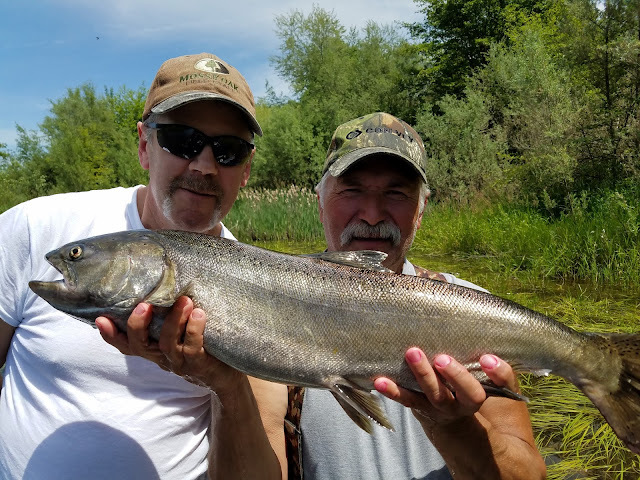 Guided Fishing on the Rogue and Umpqua Rivers' for Salmon and Steelhead in Southwest Oregon: King Salmon Fishing in Oregon | Book Your Salmon Fishing Adventure Today!!! King Salmon Fishing in Oregon | Book Your Salmon Fishing Adventure Today!!! Steve, holding a beautiful hatchery Spring King Salmon with his good friend Jeff.